Ain’t what she used to be, ain’t what she used to be. The old gray mare, she ain’t what she used to be, Many long years ago. Seventy Three years ago today, the Little Flower cut the ribbon and officially opened the “New Meeker Avenue Bridge” to traffic. 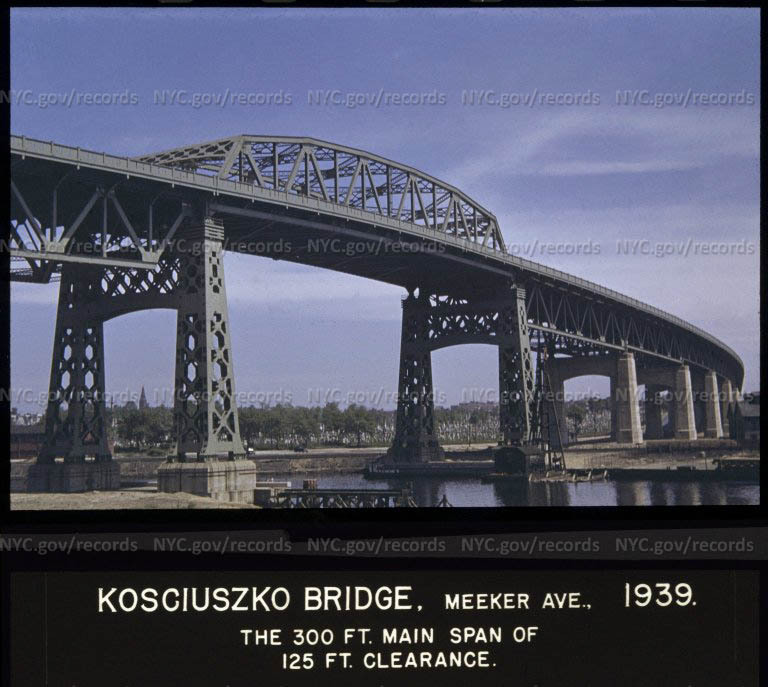 The following April in 1940, it was renamed as the Kosciuszko Bridge. 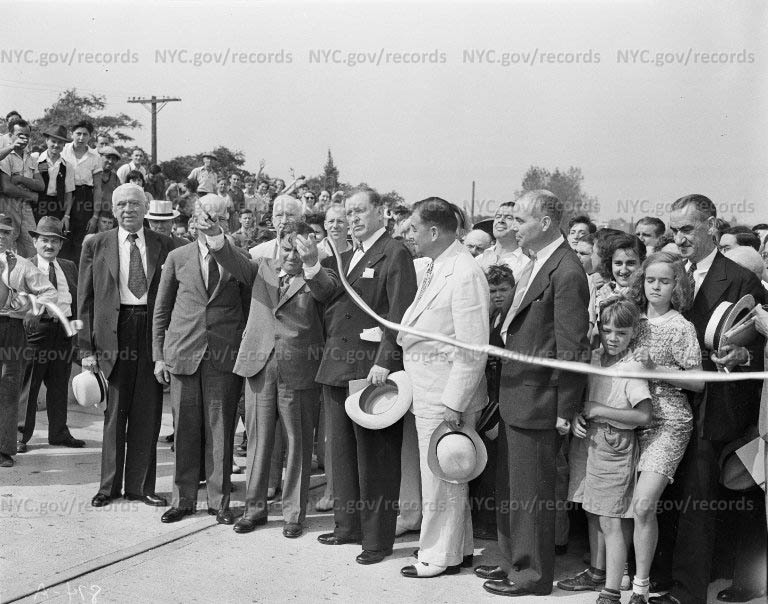 Mayor LaGuardia snips the ribbon which admitted the first autos lo use the lofty new Meeker Avenue Bridge over Newtown Creek in Laurel Hill, at the dedication held yesterday at Laurel Hill Plaza. To the right of the mayor is Acting Borough President John J. Halloran of Queens. To his left is Borough President Raymond V. Ingersoll of Brooklyn. Left of Ingersoll is Frederick J. H. Kracke, who was commissioner of Plant and Structures when that department originated plans for the bridge. 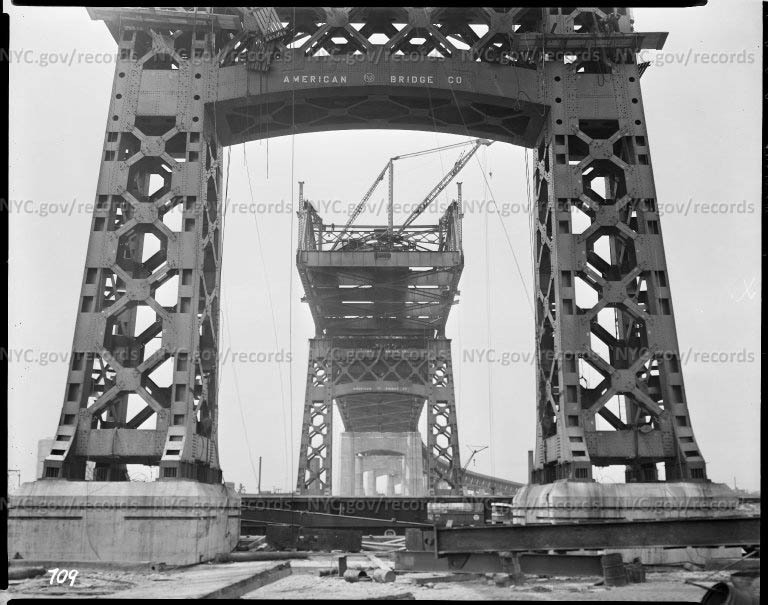 American Bridge Company and Bethlehem Steel worked on her, along with dozens of other contractors. 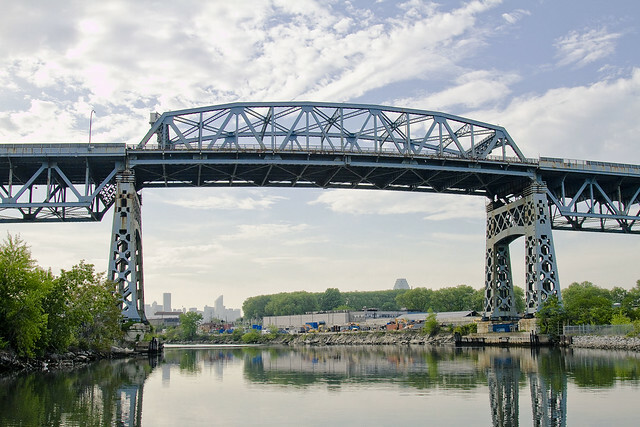 The Big K was part of what was known as “the Regional Plan”, which also provied the pretext for the erection of the Triborough, Whitestone, Marine Parkway and a slew of other bridges across the archipelago. 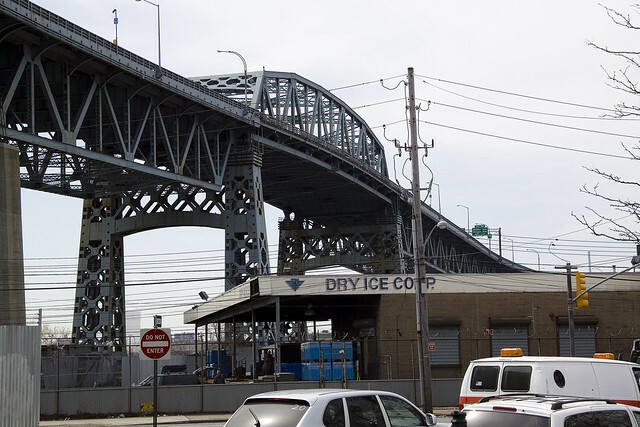 Odds are very good that this is her last birthday, as the “Fast Track” program announced by the Governor will be kick starting the construction of a “Newer Meeker Avenue Bridge”- or perhaps the “Kosciuszko Two”- by the late spring of 2013. She will be gone by 2017, if one were to believe the schedule currently touted by State officials. 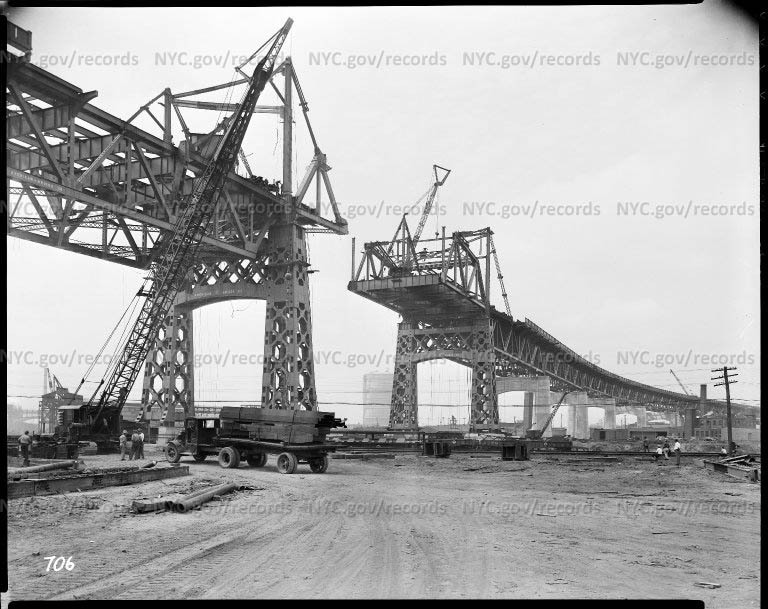 The historic shots included in this post all link out to the New York City Municipal Archives site, which has famously begun releasing thousands of historic images of the City online. One of the tricks to using the system, I’ve discovered, is knowing what things used to be called. It’s a “streetcar” versus “trolley” kind of thing. We call the former light rail system by the latter name, while those who dwelled in the past used the former. 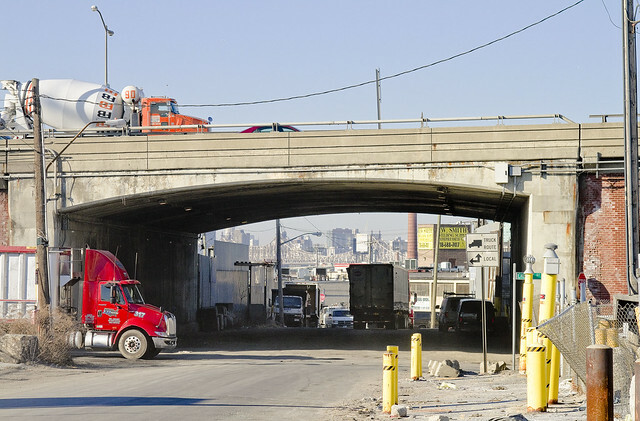 Very little information is available about the construction and planning of the Kosciuszko, but there’s plenty about the New Meeker Avenue Bridge. 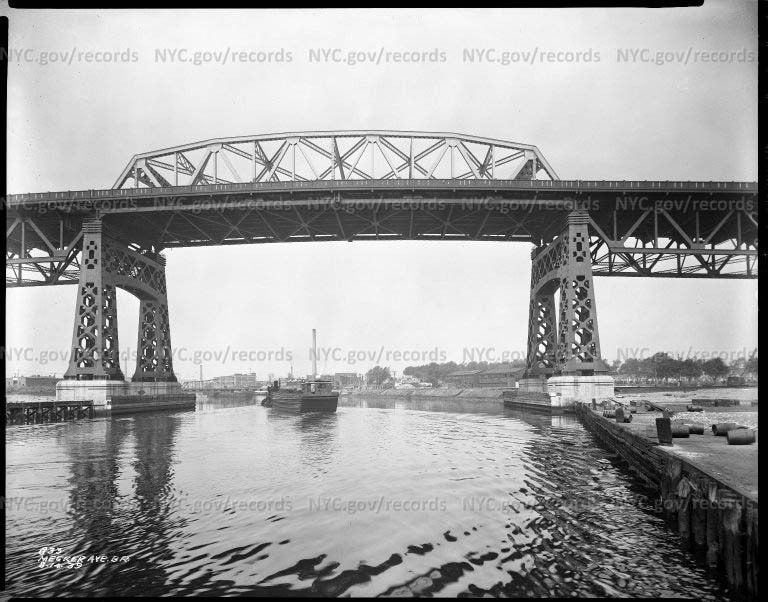 The Big K was built for two official reasons- first, to provide a link between the multitudes of infinite Brooklyn and the World Fair Grounds in Flushing (Flushing Meadow Corona Park), and secondly to replace the aging swing bridge that spanned Newtown Creek between Meeker Avenue in Brooklyn and Laurel Hill Blvd. in Queens. 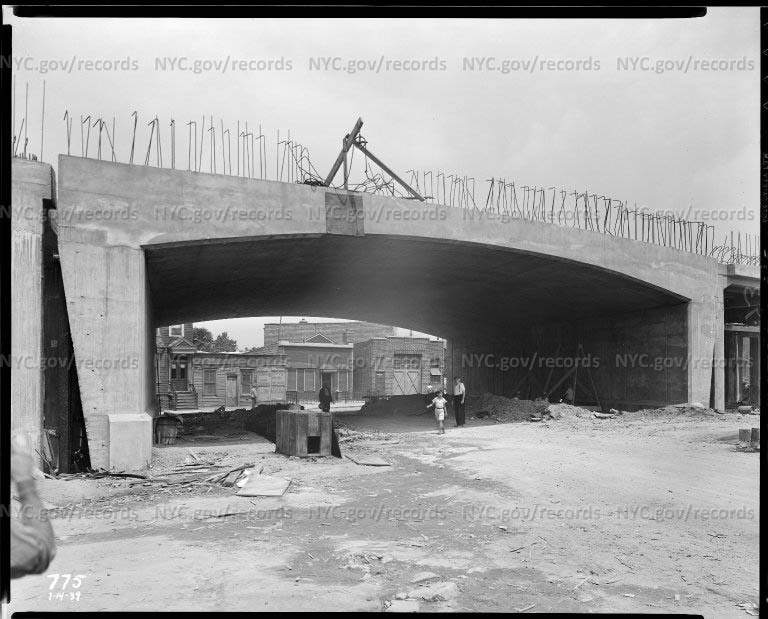 Unofficially, Robert Moses really wanted to get the Brooklyn Queens Expressway built and this was as good a place as any to start. One does look forward to that day in the latter half of this decade, which I seriously doubt will be anything even close to 2017, when the pedestrian lane of the new bridge will be open for inspection. 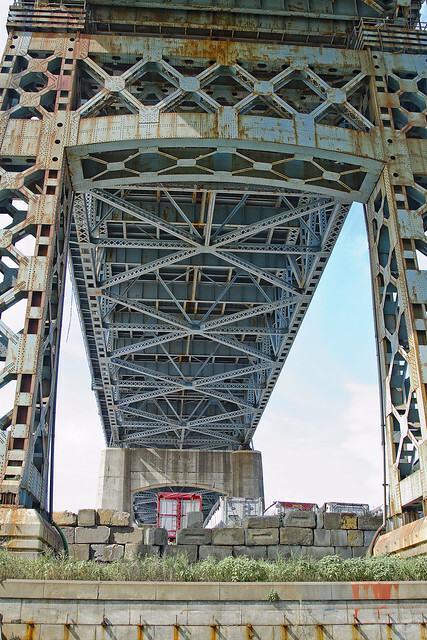 One of the most frustrating parts of the current bridge is that it once sported such a lane for perambulation, but it has long been closed off- thwarting photographic exploitation of the surreal vantage point that it offers. 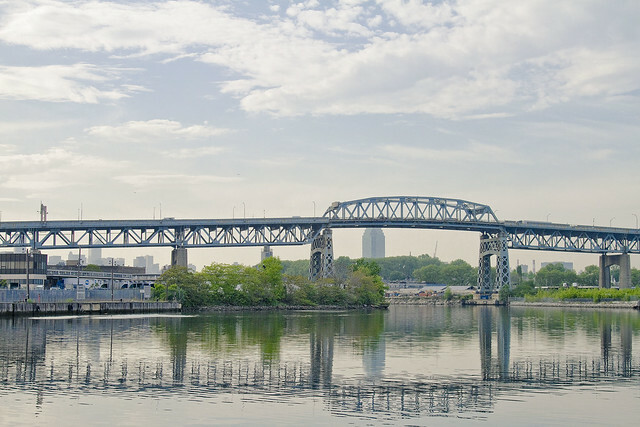 style=”padding-left:30px;”>Construction on a new bridge is now expected to begin in spring 2013 — a year ahead of schedule, thanks to $460 million made available for the job by Gov. Cuomo’s New York Work initiative. And just as a remider, in the name of public good and an abundance of caution- don’t forget about the whole Night of the Living Dead thing- this could be trouble. from youtube– I’d suggest skipping forward to the 1 hour 13 minute marker, btw, unless you’ve got time to watch the whole flick via the Crackle Youtube page. Sorry to hear she may be going. 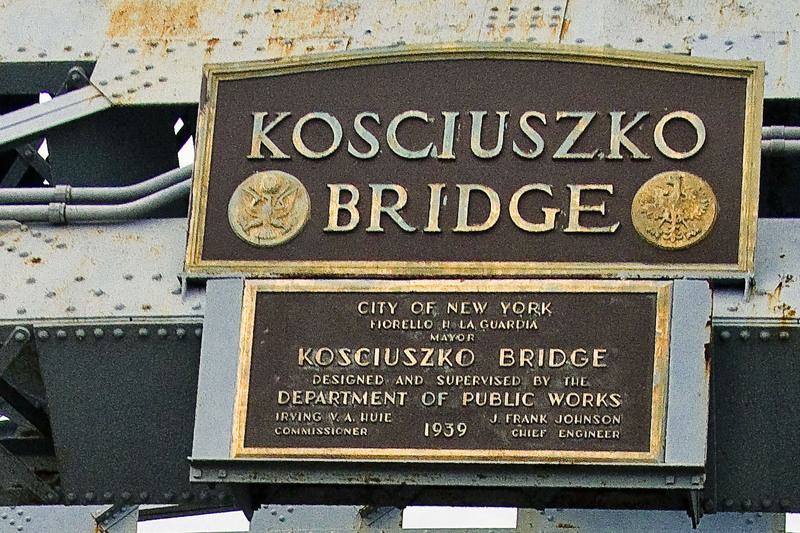 You know there is another Kosciuszko namesake, up around Albany? And have you looked up Thaddeusz (sp) K? Sounds like an amazing guy… nobleman and engineer and general, wow. There are actually several, wherever a large Polish constituency exists there is either a Pulaski or Kos. Kosciuszko was the fellow who taught the Americans how to build fortresses and other earthworks. Pulaski was the first commander of what would become the Calvary. Cavalry is soldiers who fought mounted on horseback. Calvary is the skull place of the New Testament and the cemetery. A cava ioli is a cave worker- a grim lot who cut niches in the catacombs and dug graves. 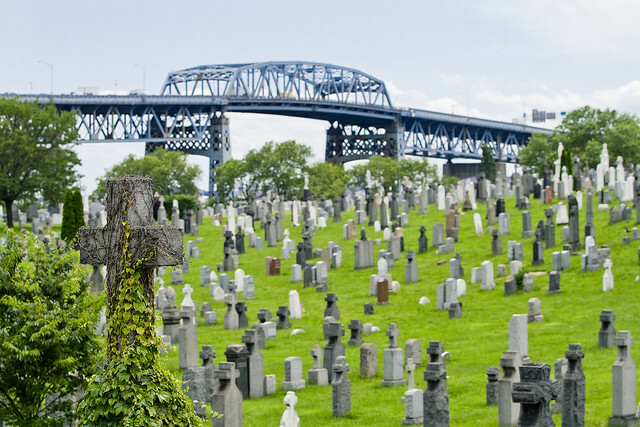 Just thought I’d throw that in while on the topic of cemeteries.